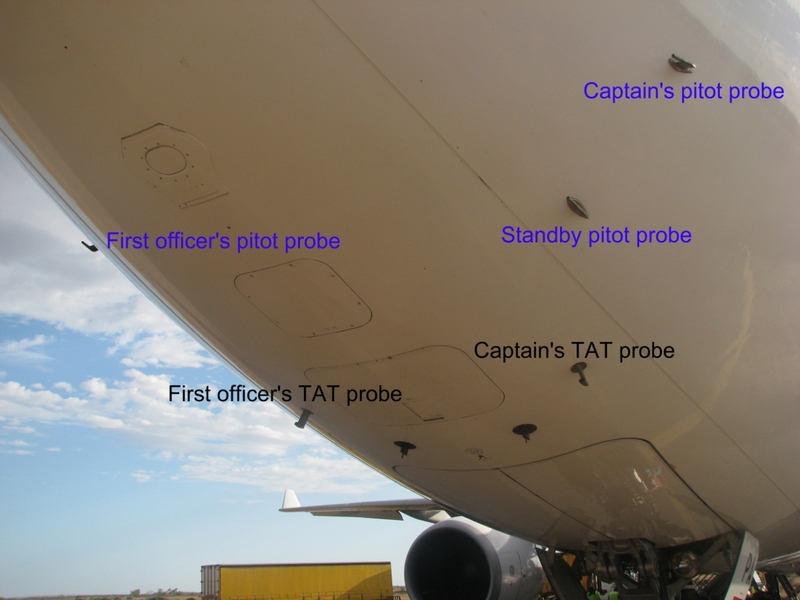 The Australian Transport Safety Bureau (ATSB) concluded their investigation into an unreliable airspeed indication incident involving an Airbus A330. On 28 October 2009, an Airbus A330-202 aircraft, registered VH-EBA, was being operated as Jetstar flight 12 on a scheduled passenger service from Narita, Japan to Coolangatta, Australia. Soon after entering cloud at 39,000 ft, there was a brief period of disagreement between the aircraft’s three sources of airspeed information. The autopilot, autothrust and flight directors disconnected, a NAV ADR DISAGREE caution message occurred, and the flight control system reverted to alternate law, which meant that some flight envelope protections were no longer available. There was no effect on the aircraft’s flight path, and the flight crew followed the operator’s documented procedures. The airspeed disagreement was due to a temporary obstruction of the captain’s and standby pitot probes, probably due to ice crystals. A similar event occurred on the same aircraft on 15 March 2009. The rate of unreliable airspeed events involving the make of pitot probes fitted to VH-EBA (Goodrich 0851HL) was substantially lower than for other probes previously approved for fitment to A330/A340 aircraft. In it’s investigation into the June 1, 2009 accident involving an Air France A330 (flight AF447), the French Bureau d’Enquêtes et d’Analyses pour la sécurité de l’aviation civile (BEA) found 36 occurrences between the period 12 November 2003 and 7 August 2009 that the aircraft manufacturer concluded were attributable to the blocking of at least two pitot probes by ice. 27 events involved aircraft fitted with Thales model C16195AA pitot probes, the same model fitted on the AF447. Two events involved aircraft fitted with Goodrich 0851HL probes. Both of the events involving VH-EBA occurred in environmental conditions outside those specified in the certification requirements for the pitot probes. The French Bureau d’Enquêtes et d’Analyses pour la sécurité de l’aviation civile (BEA) has recommended the European Aviation Safety Agency (EASA) to review the certification criteria for pitot probes in icing environments. At the time of the occurrence, most of the operator’s A330 pilots had not received unreliable airspeed training. Most of these pilots had transferred from the operator’s A320 fleet, and the third-party training provider had not included the topic in its A320 endorsement training program, even though it was included in the aircraft manufacturer’s recommended program since 2004. The operator identified the problem and included unreliable airspeed in its recurrent training program for the A320 from May 2009 and the A330 from October 2009. The training provider included the topic in its endorsement program from July 2010. The operator, training provider and the Civil Aviation Safety Authority all initiated safety action to minimise the likelihood of similar problems in the future.